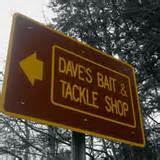 Offering a full like of tackle, specialty equipment, and ice fishing supplies. Specializing in pike shiners & suckers, walleye baits, and trout, large selection of bass soft plastics colors and sizes. Fish fillet and cleaning station, custom rod combos, and more.